Felix Field, in the Southern California desert, was reserved and decked out for the Freedom Alliance Easter Celebration in honor of the 29 Palms Wounded Warrior Battalion (WWB). Coyote BBQ prepared hamburgers, hot dogs, Polish sausage, five kinds of salads, and more for this special occasion. Twenty-five active-duty Marines, from outside the WWB, volunteered to help at the event. 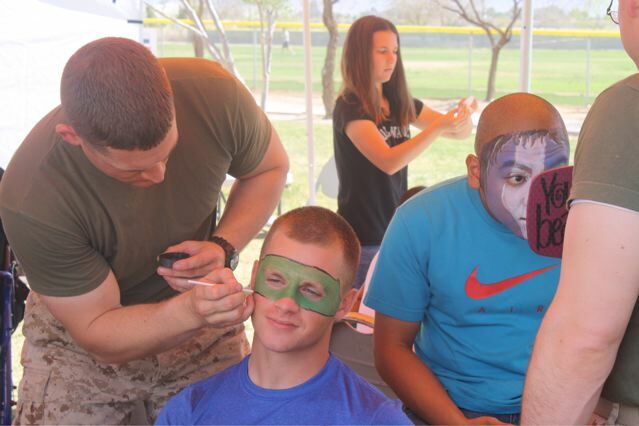 Several Marines devotedly painted faces, creating whatever image a kid could ask for. 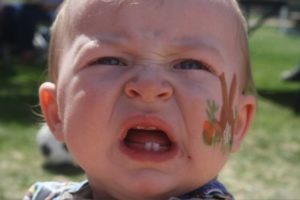 Others manned the inflatable bouncers, sneaking in a jump when they thought no one was looking. 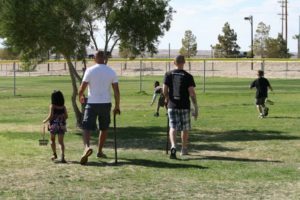 The Marines also organized a softball game to entertain the adults, and rigorously hid Easter eggs—as only Marines can hide Easter eggs—for the children’s egg hunt. 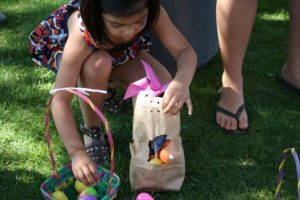 In addition to the Marine Corps workforce, a very talented woman from a local church brought her supplies and expertise to Felix Field to make incredible spring crafts with our guests, including Easter egg chicks, pinwheels, lilies, and woodcarvings. 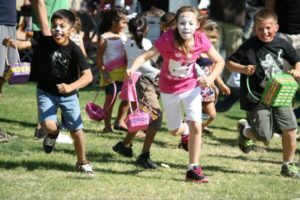 Twentynine Palms, being so remote, is not used to events, and the partygoers were overwhelmed by all the folks who came out to make this celebration special. Our Family Services Support Coordinator and contact Amy drove all the way from Balboa to attend; she started a senior staff water balloon toss that was a big hit. Even the commanding general of the base, General Berger, cleared his schedule to stop by and show support for the battalion. One of our Presents for Patriots families came out to celebrate Easter with us, and we also saw a Marine from a past Hereos Vacation. Another Marine who attended will be going with Freedom Alliance to Costa Rica later this year. It was so good to see our folks again and to get chummy with some new acquaintances. 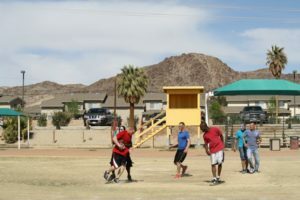 There is a genuine family-oriented and community vibe to the base at 29 Palms, which is tangible to those who have the privilege to connect with it. For Freedom Alliance, it was an honor to be invited in to experience this affinity and we look forward to working with this close-knit battalion in the future.